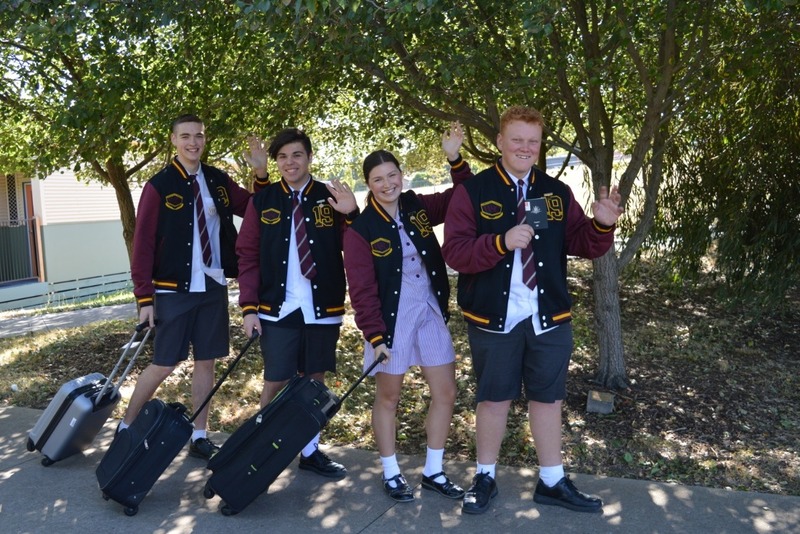 We are very excited to announce that we, the four College Captains of Wallan Secondary College; Lachlan Mozina, Ruby Sommerville, Riley Cook and Coen Triffett have all been selected to attend the 2019 Global Young Leaders Conference (GYLC) to be held in Washington, DC and New York City in July. The Global Young Leaders Conference (“The Leaders of Tomorrow Preparing for the Global Challenges and Responsibilities of the Future”) is an exceptional opportunity for high school students to gain a new perspective on our world by immersing ourselves in another culture and learning about global issues. We will join students from 146 other countries as Global Scholars. In Washington, DC, we will visit International Embassies, participate in Global Issues Workshops and study the art of cross-cultural communication. In New York City, we will engage with a United Nations speaker, draft policy proposals, debate issues and work to pass resolutions, all of which will culminate in the Global Summit simulation to be held at the United Nations Headquarters. We will build critical leadership skills such as communication, decision making, goal setting, and negotiation through carefully designed simulations, exercises and face-to- face interaction. We will expand our perspectives and cultivate our inherent leadership skills by examining and discussing various global issues with distinguished diplomats and by visiting historical and modern-day bastions of political, social and economic influence. This is an amazing opportunity for us and for Wallan Secondary College as this will be the first time WSC students have been selected to attend. Unfortunately with such an amazing opportunity there also comes a cost. We will need to pay for the two week conference, accommodation, meals as well as flights which will be in excess of $5000 per student. Hence we have started our GO FUND ME campaign and we are asking our friends, family and community to support us so that we may raise the funds to attend the 2019 Global Young Leaders Conference. We are four young people who have a positive attitude, a strong sense of responsibility and self-motivation with an enthusiasm in helping others and a willingness to do our best. We believe the skills and knowledge that we will gain by attending this conference, will benefit our College, our fellow Students and our Community. Most importantly, through the experiences, interactions and friendships we make from this opportunity, it will allow us to not only make a change to but to leave our mark on the world of tomorrow. We thank you for helping us make our dream a reality.